Multiple contracting authority (Anas, Regions, etc. ), following the entry into force of Ministerial Decree 560/2017, have begun to require competitors to have the requisites and skills to design in BIM. One of the speakers at the conference will be Arch. 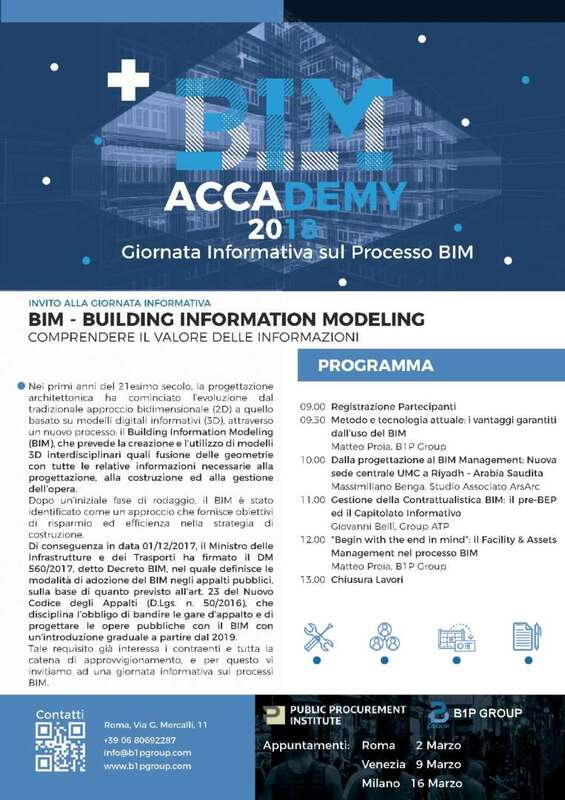 Massimiliano Benga, winner at SAIE 2017 BIM Digital Italia, who will illustrate the BIM process behind the design and construction of the new UMC headquarters in Ryadh, Saudi Arabia. Current method and technology: the guaranteed benefits of using BIM. From design to BIM Management: New UMC headquarters in Ryadh – Saudi Arabia. BIM Contracting Management: the BEP pre- and the information documents. “Begin with the end in mind”: Facilty & Assets Management in the BIM process.